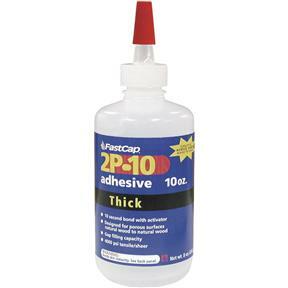 2P-10 Thick Adhesive, 10 oz. 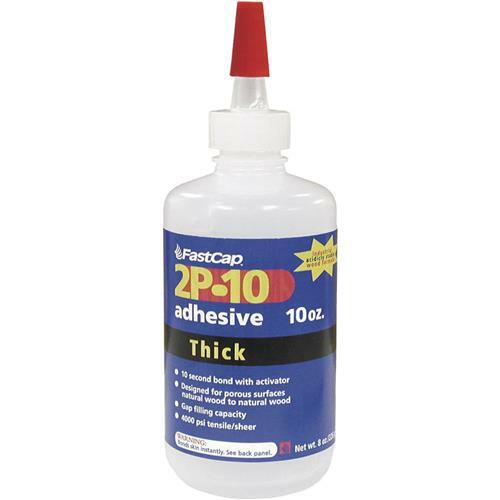 FastCap 2P-10 THICK 10OZ - 2P-10 Thick Adhesive, 10 oz. An industrial grade instant glue made specifically to work with wood. Features include 30 second cure time, 2 year shelf life and crystal clear dried finish. Thick for bonding porous surfaces like particleboard. With 2P-10 you can easily glue the hardest joints in cabinetry without clamping!